Shirley talks introduces the three workshops she has created with Frontend Masters, what material they cover, and the order she recommends in taking those classes. >> Speaker 1: By the end of tomorrow, we'll have three workshops on Frontend Masters. And I kind of want to give my own personal guideline on how to navigate through them. So the first one is the one you're in right now. 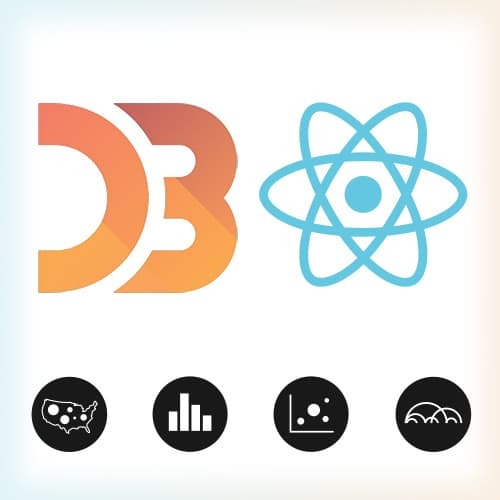 Data Visualization for React Developers. And like I said, the goal for this is kind of like a gentle introduction into D3 and data visualization from the perspective of a React developer. [00:00:25] And then once you feel comfortable with that, and if you want to dig more into D3, I have an intro to D3 course that I did last year that covers what I mentioned. The core of D3, the selection, data binding, and enter, update, exit. So you can kind of know for yourself how that part of D3 works. [00:00:47] And finally tomorrow, I'm doing a workshop called Building Custom Data Visualizations. That builds on top of the Intro to D3 knowledge. And that one, I'm really excited for because it's kind of, well, like it says, it's custom data visualizations. So that one I'm concentrating on not only how to code custom data visualizations that are a little bit outside of the box of what D3 ships with. [00:01:14] Andeverything that you see in the really beautiful D3 example gallery. But not only just the code, but the data exploration part. So taking it from the data exploration to the design and design principles, and then translating that into code. So the whole process of building a data visualization. [00:01:37] So those are my three workshops, and that's kind of the order that I would recommend.